Tarte has always been a brand that I have been desperate to try out, and the Tartelette palette was definitely a stand-out product for me. It's not often you find an all matte eyeshadow palette, and to have this gorgeous selection of colours all in one place made it a winner for me! 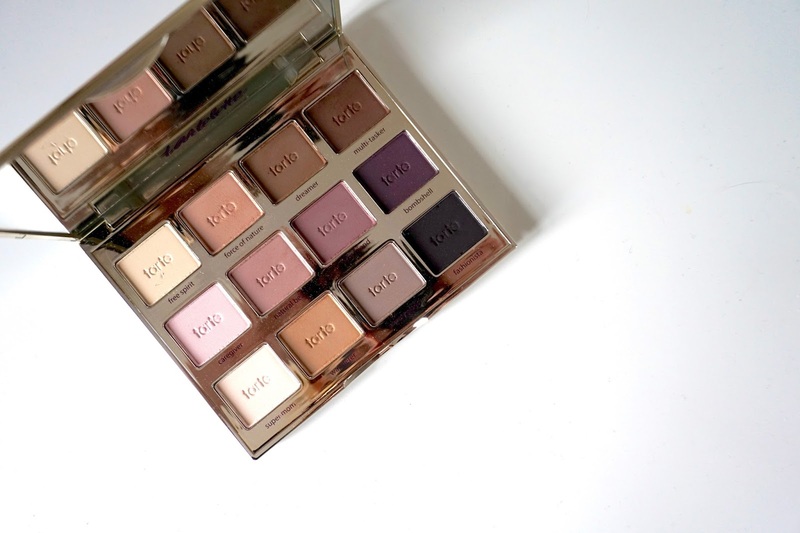 The palette comes in gorgeous sleek gold and purple packaging, and there are 12 shadows inside, ranging from browns, to purples, to lighter neutral shades. The one struggle with a lot of matte shadows tends to be a lack of pigment, but these shadows don't disappoint at all, and are really nice and have pretty strong pigmentation for matte shades! I wouldn't say they are quite as pigmented as Urban Decay or Makeup Geek mattes, but still lovely. 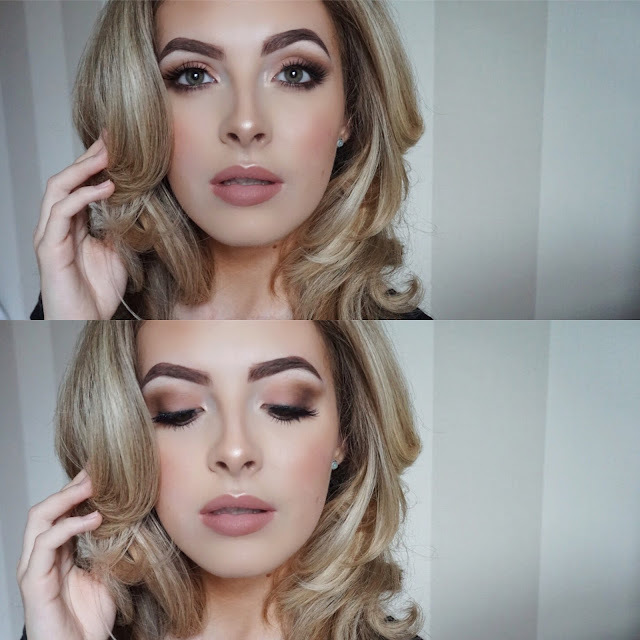 They blend like an absolute dream - I used it for the makeup look above, and there is absolutely no editing on the eye makeup, they really do blend that seamlessly! The shades are not overly powdery at all, and I have not had any issues with fallout - which may be due to their less intense pigmentation, so you win some you lose some! I would say my most used shades are the browns and the two darker purples - the first column doesn't get much love from my I have to say! I have used the dark purple in so many of my makeup looks, it is gorgeously pigmented and adds a gorgeous depth to the outer corner of the eye. Overall, I'd say this is a great beginner's palette as it has all the basic shades you need for every eye look - just add a few shimmery shadows in and you've got a great starter eyeshadow kit! Have you tried this palette - or anything else from Tarte? Let me know your thoughts in the comments!